CMS’ 2019 inpatient prospective payment system (IPPS) final rule sets out to overhaul the newly coined Promoting Interoperability Programs (formerly the Electronic Health Record Incentive Programs), significantly reduce reporting requirements for quality initiatives, and update payment rates. Arm your facility now with the strategies and guidance it needs to ensure 2019 IPPS changes are implemented accordingly and in a manner that best supports workflow and operations. During this 90-minute session, expert speaker Judith L. Kares, Esq., will outline the most significant changes identified in the FY 2019 IPPS final rule, including reporting measures, new technologies, operating and capital rates, and changes to quality and interoperability programs. Case studies and discussion will be used to illustrate the impact of financial changes, including MS-DRG payment, the IPPS operating and capital payment calculations, the 2019 wage index, and applicableDSH, IME, and LV adjustments to the operating IPPS payment. (Live + On Demand) - This program has been approved for 1.5 continuing education unit(s) for use in fulfilling the continuing education requirements of the American Health Information Management Association (AHIMA). Granting prior approval from AHIMA does not constitute endorsement of the program content or its program sponsor. 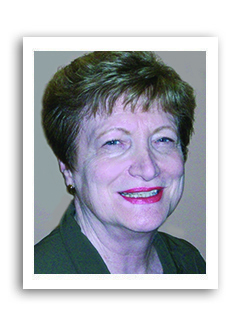 Judith L. Kares, Esq., is an expert in Medicare rules and regulations and is an instructor for HCPro's Medicare Boot Camp®—Hospital Version. She spent several years in private law practice, representing hospitals and other healthcare clients, and then served as in-house legal counsel for two large third-party payers. For the past 20 years she has continued to provide legal and related compliance services on a consulting basis. These services include development of strategic compliance programs; establishment of baseline risk assessments; creation of appropriate compliance documents (e.g., codes of conduct, corporate policies and procedures); creation of reporting mechanisms; development of training and communication plans, including related materials; compliance reviews and audits; research and advice regarding specific risk areas; and development of corrective action plans.